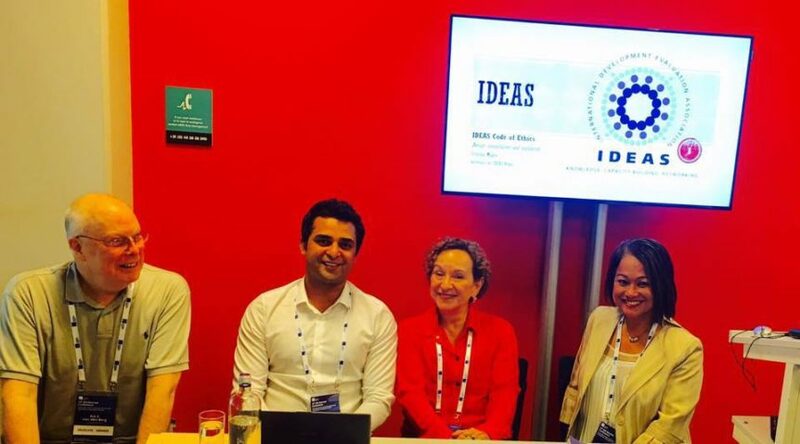 The IDEAS’ President and Board Members presented IDEAS’ Code of Ethics in a Panel Discussion at the European Evaluation Society Conference in Maastricht on the 28th of September, 2016. This Code of Ethics was very well received by the participants and it yielded a fruitful discussion at the end where different expert evaluators shared their valuable experiences and praised IDEAS’s work in this regard. The Powerpoint slides from Rob D. van den Berg, the President of IDEAS and its members, Cristina Magro and Hur Hassnain can be found here. 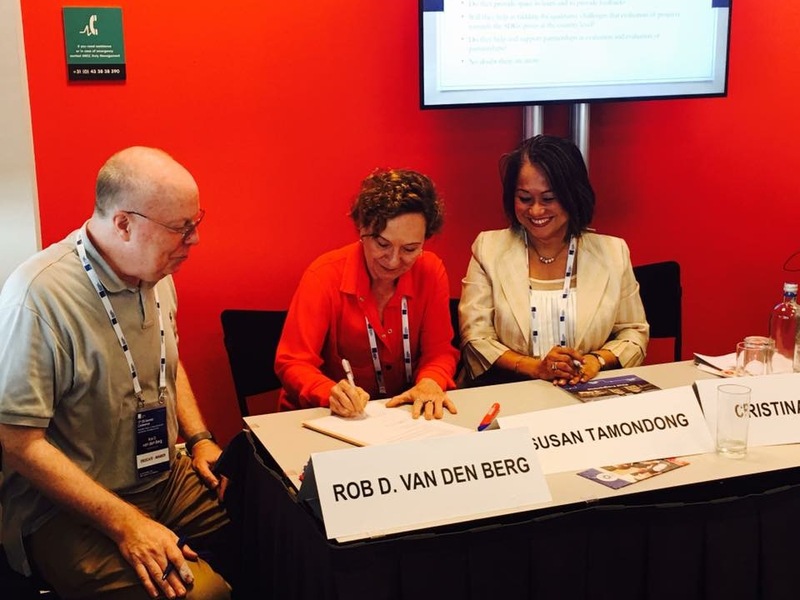 The session was chaired by IDEAS’ Vice President Sue Tamondong. The Executive Board of IDEAS also signed it’s new constitution at the end of the panel discussion. Please see the picture below.